IWF 2010 had a different look and feel compared to previous shows. 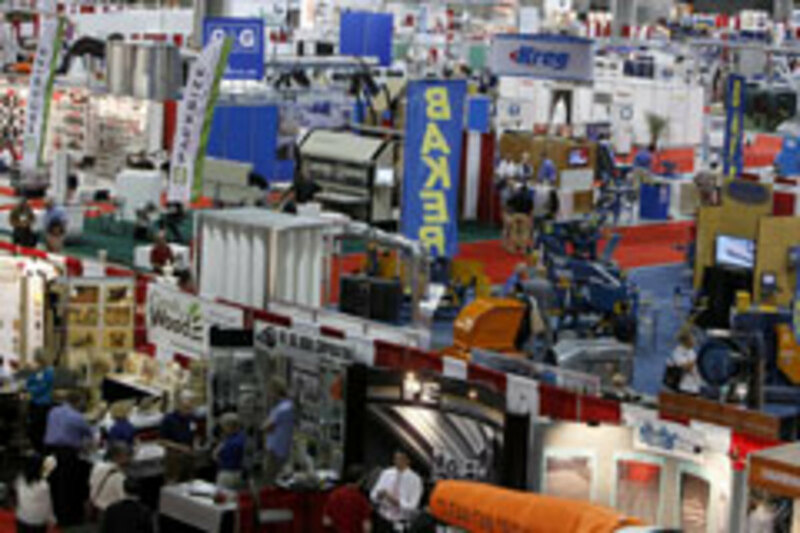 Without many of the big CNC manufacturers that skipped the show to redirect their marketing dollars in a down economy, IWF was downsized from three halls to two at the Georgia World Congress Center in Atlanta. Still, there were more than 900 exhibitors and a general sense of optimism reigned, based on better-than-expected sales and leads. That doesn&apos;t mean anyone was doing cartwheels, just that expectations were fairly conservative. "We&apos;ve been getting positive feedback from our exhibitors," said Patrick LaFramboise, president and CEO of IWF, in an interview with Woodshop News following the show. "No one quite knew what to expect going into the show and, now that it&apos;s over, nearly everyone is satisfied with the results. "We are also getting a lot of complimentary comments from our buyer/attendees. Our industry is hungry for good things to start happening. There are always a few skeptics out there, but given the comments we&apos;ve been hearing from both sets of our customers - exhibitors and buyer attendees - IWF 2010 was some positive energy infused into the flow." 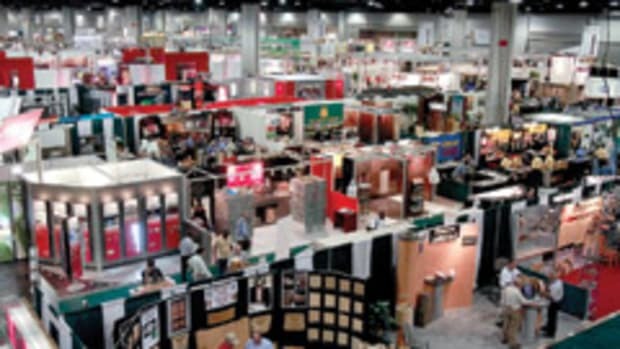 "I was a little surprised on the low number of exhibitors and attendees," says Tom Edwards, an exhibitor with Middle Tennessee Lumber Co. in Dickinson, Tenn. "Despite the low volume, I feel that the contacts that were made were of a higher caliber." 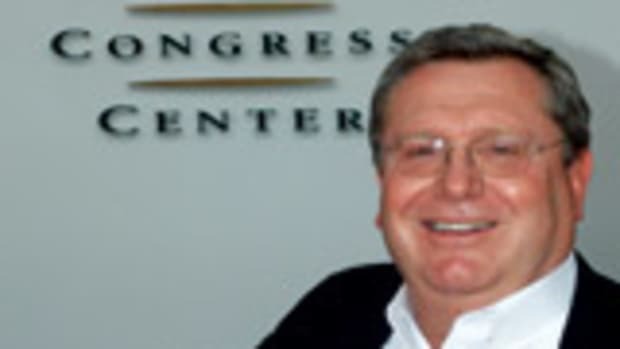 John Doyle, owner of Doyle Design, an architectural woodwork, custom cabinet and fine furniture shop in Philadelphia, was attending his first IWF. Armed with an upbeat attitude and happy to be away from the daily grind in the shop, he toured the exhibits, attended educational seminars and made new friends on the show floor. "I heard the show was down a third from previous years. Being a first-time attendee, there was still plenty to see. It was good to see some of the machines up close and to discuss them with the vendors. The thermally modified wood at the show looks like it may really catch on. It may open new markets for many different types of cabinet shops. We make a lot of large doors and we are always concerned about rot resistance," says Doyle. It takes a few weeks for IWF organizers to compile accurate show data, so official attendance numbers were unavailable at press time. Hall B, which housed mostly machinery and tool suppliers, was fairly active on the first three days of the show. There was a bit less activity in Hall A, dominated by hardware and wood products suppliers. 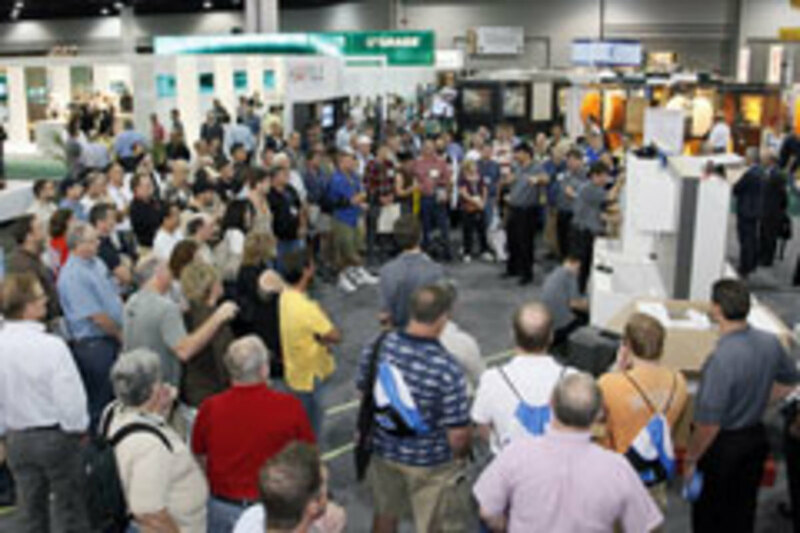 "Although woodworking shows - and the trade show industry as a whole - have seen a decrease in attendance in the past several years, IWF 2010 was a success for ShopBot," says Dave Minella, the company&apos;s marketing director. "We tripled our booth size compared to two years ago and we launched four new products in Atlanta. The serious buyers are still attending shows and they&apos;re looking for ways to set their businesses apart from those of their competitors. In the uncertain economy, woodworkers are not only working harder, but also smarter, to grow their businesses." Some of the better attended booths belonged to Hettich, a hardware supplier touting its "Kitchen Concepts 2015" products (see story, Page 26), and CAD/CAM software vendors demonstrating their latest versions, including Planit Solutions, KCD Software, Mastercam, Cabinet Pro, Microvellum, 20-20 Technologies, Thermwood and Eurosoft. The products that generated the biggest "buzz" included the exploding category of personal or benchtop CNC machines (see story, Page 39). Vertical panel saws, material handling equipment and jobsite tools were also prevalent (Woodshop News plans in-depth coverage in future issues). Oliver caught the attention of show-goers with a mammoth membrane press, capable of bonding PET, PVC, Thermo-Transfer foil and other films to MDF, particleboard, steel, aluminum, wood and plastic. Rockler Woodworking and Hardware showed several new products, including risers for its Bench Cookie work holders, the Bench Dog Crown Support for installing crown molding and the Pock-It-Hole Clamp for installing pocket screws. SawStop introduced its new industrial cabinet saw, 1-3/4-hp cabinet saw, and several dust collection accessories. Delta Machinery has updated its 18" laser drill press and brought back its 13" portable planer, in addition to introducing a new line of full-kerf blades for cutting melamine materials. Porter-Cable showed the Quick-Jig for pocket hole joinery, while DeWalt debuted its 1-1/4-hp Compact Router. Freud&apos;s new offerings include 10" and 12" Super Dado saw blades, a 7-1/4" blade for cutting plywood and melamine, and blades specifically for Festool and other track saws. The company also showed an adjustable rail & stile bits for frame and panel door construction. Oneida Air Systems debuted its Smart Dust Collector, a compact variable speed model that automatically adjusts for maximum air volume and suction for a wide range of tools, hose sizes, and undersized suction ports. 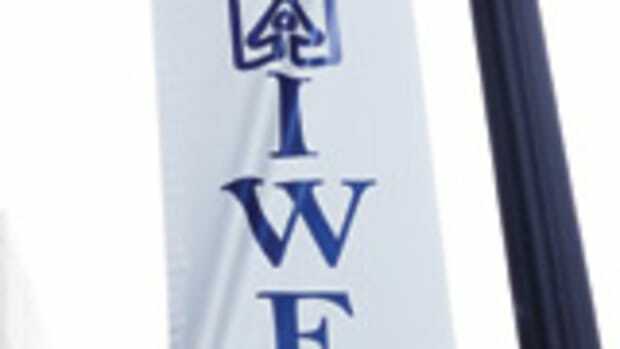 This is just small sampling of new products introduced at IWF 2010. Woodshop News will provide more coverage in future issues. Up next is the 2011 AWFS fair in Las Vegas. The producer&apos;s executive vice president, Angelo Gangone, was at IWF to observe. "The AWFS staff and I were apprehensive at first, not knowing what to expect. It was a similar feeling we had going into our show in 2009. We walked away from the event, however, feeling very encouraged. The industry came out and supported the show. I was particularly happy for the IWF staff and the exhibitors that decided to stick it out during these still uncertain times. Their hard effort and persistence were definitely rewarded."